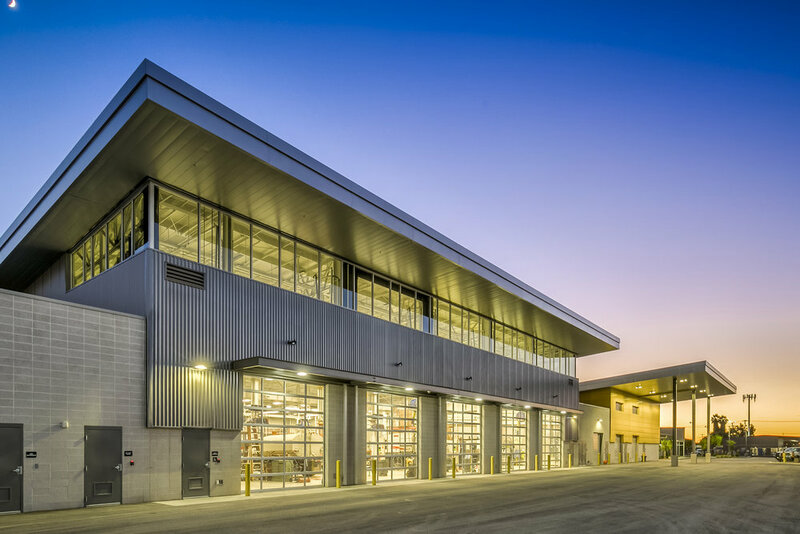 LDA Partners design for the County’s new 30,000 SF shop building brings the Public Works services group into the 21st Century. 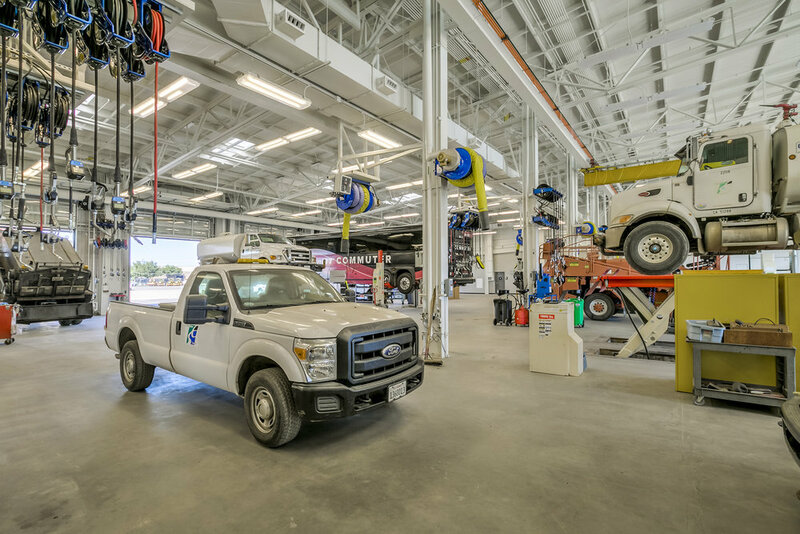 The new facility consolidates the sign, roads, bridges, and vehicle maintenance divisions under one roof for the first time in decades. 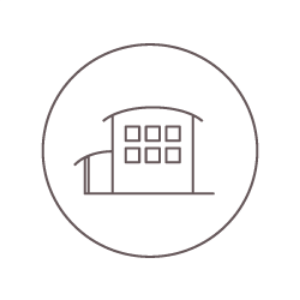 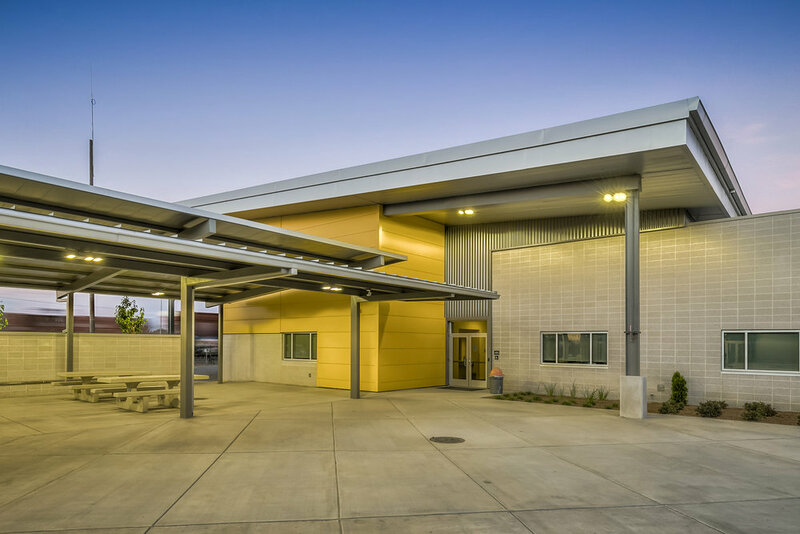 This pre-engineered metal building features an expansive shed roof, covered drive-thru canopy, and a generous amount of daylighting through a continuous clerestory and 14’-0” laminated glass sectional doors area. 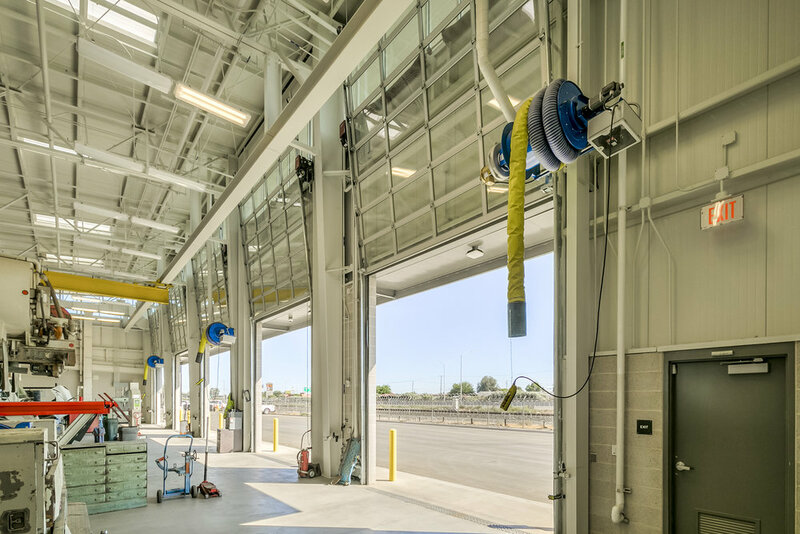 This design strategy allows for comfortable light levels to work on equipment while reducing energy costs from light fixtures. 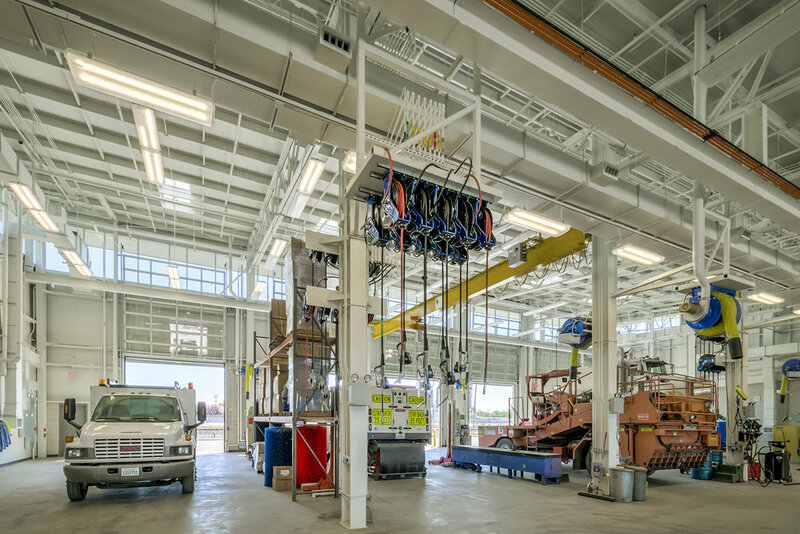 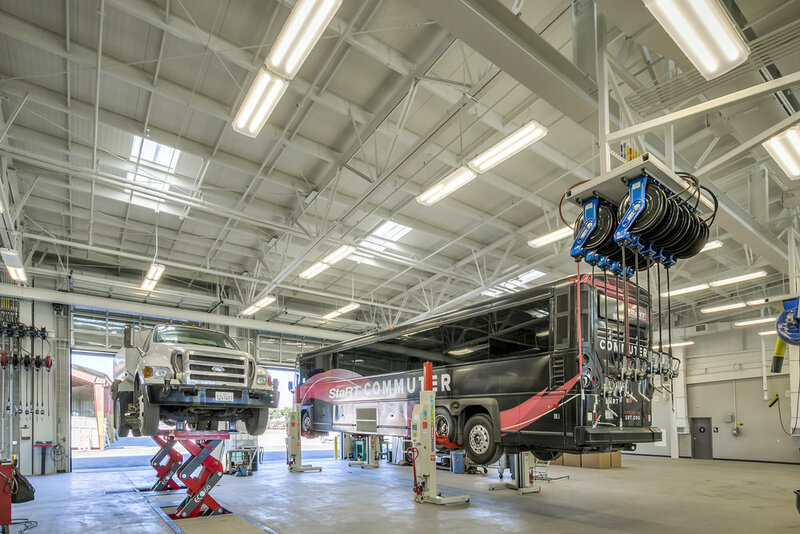 The location also features a 5-ton bridge crane traversing the radiantly heated shop floor, allowing easier maneuverability of large equipment. 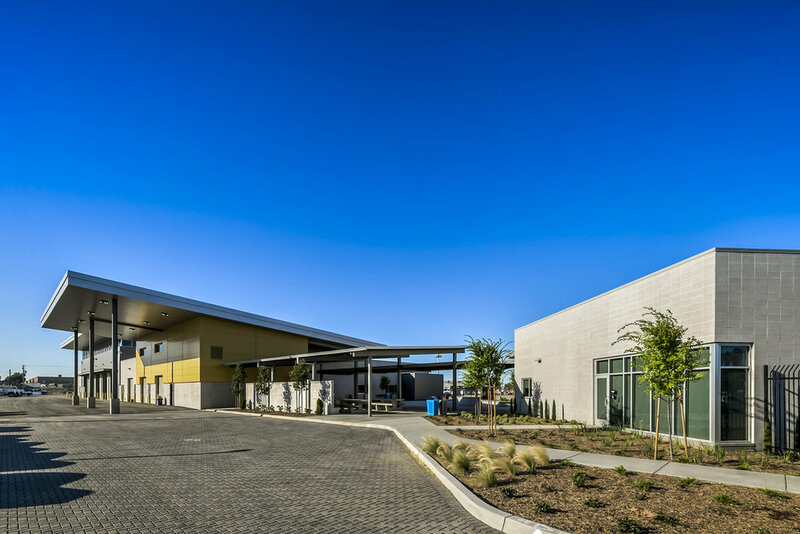 Located adjacent to the Stanislaus County Public Works Administration Building, LDA designed an outdoor plaza with Santa Maria style grille and covered seating and eating area. 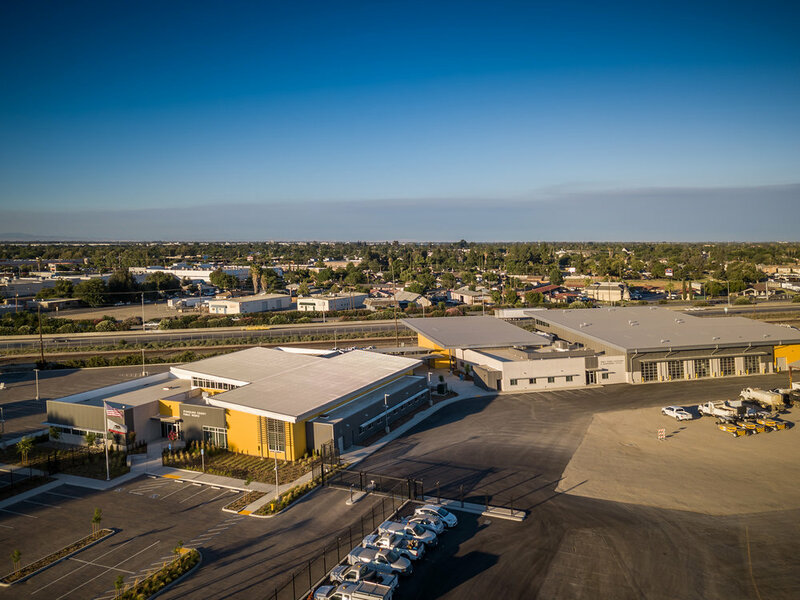 This plaza is large enough to accommodate the entire Public Works department staff and is used for quarterly department wide meetings as well as regional public works functions.